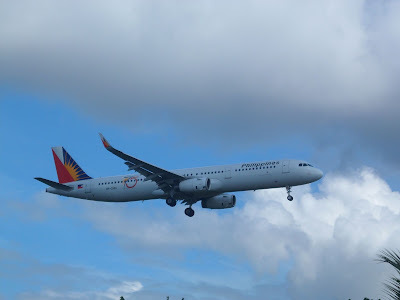 Aviation Updates Philippines - National flag carrier, Philippine Airlines is set for the June 25 launch of direct services between Taipei and Osaka. The airline will operate daily flights between the two Asian cities to provide seamless and convenient travel. “PAL is all set to establish the sought after Osaka – Taipei air link on June 25. This will enable the Japanese market to travel to Taiwan with ease, comfort and convenience”, PAL President and Chief Operating Officer Jaime Bautista said. Philippine Airlines flight PR896 will depart Taipei at 10:10 AM every Wednesday and Saturday and at 10:20 AM every Monday, Tuesday, Thursday, Friday and Sunday. The flight will arrive in Osaka at 1:55 PM on Wednesday and Saturday and at 2:05 PM on other days of the week. The return leg, PR897 will depart Osaka at 4:40 PM daily and arrive in Taipei at 7:10 PM. The airline will utilize its 199-seat Airbus A321-200 aircraft to service these two cities. The Airbus A321-200 aircraft is fitted with 12 seats in business class, 18 in premium economy and 169 in economy class. Philippine Airlines currently operate 10 weekly flights between Manila and Taipei. It also operate 14 weekly flights from Manila to Osaka.